With the 2018 Race Season quickly winding down it’s time to start thinking about 2019 and what lies ahead as a team. 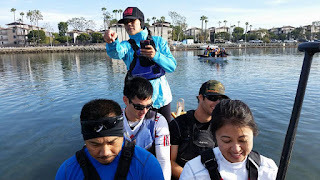 It’s been several years since we have been able to field a Masters crew and I am hoping that we can once again bring back our Mighty Masters boat. With the help of our current list of masters and recruitment of our former Masters/New paddlers, together we can once again have a Space Dragons Masters Boat! 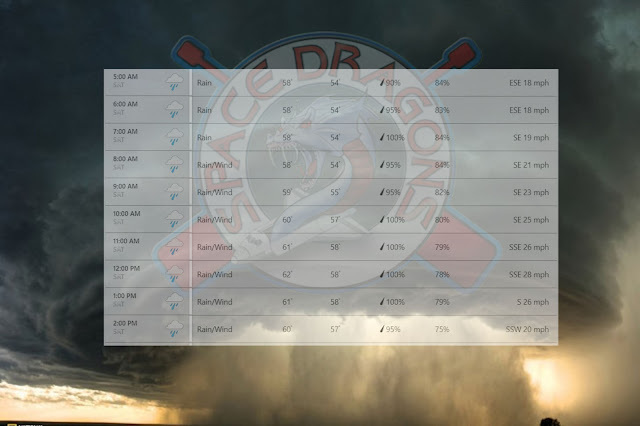 So if you haven’t been out lately, dust off your paddle and pfd, stock up on some Ensure and start coming out to practice. I hope to be seeing you soon! Below is the 2018 Red/Blue/White Selection Criteria. It's very similar to years past, but please review it and don't hesitate to ask if you have any questions! Coming to practice makes you a better paddler. 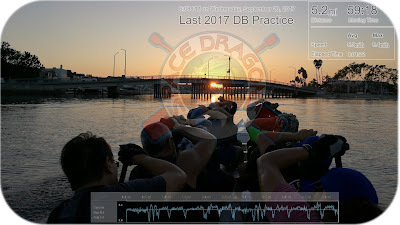 Only at practice do you get the opportunity to sit in a dragon boat and get coaching on your technique. You work on starts, finishes, pacing, timing, blending, paddling-specific conditioning. How do you become a more effective paddler? Paddle more! BUT, just showing up isn't enough. In order to become a better paddler, you need to take advantage of the time on the boat by staying focused and determined, and by seeing every single stroke as an opportunity to make our team better. 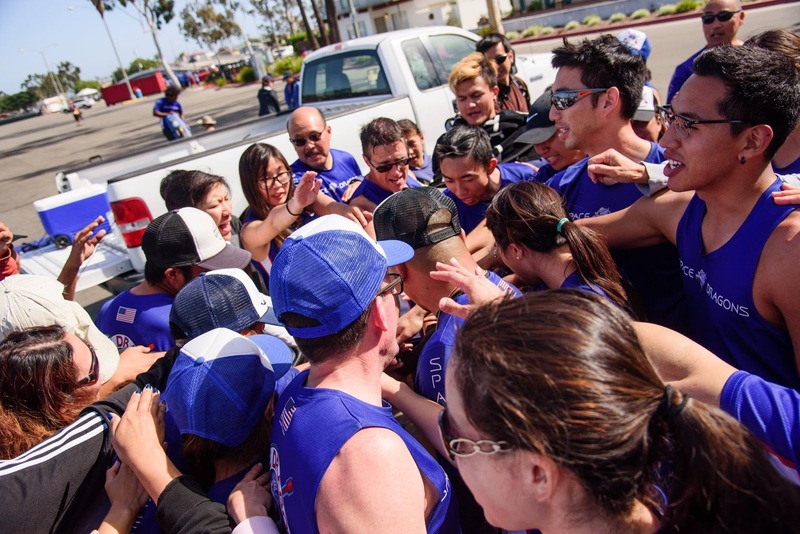 The OC-2 time trials are the easiest way for both you and the coaches to measure your individual contribution in getting the dragon boat past the finish line. Even in a dragon boat race, each paddler pulls some dead weight (the weight of the boat, plus the caller and steersperson). 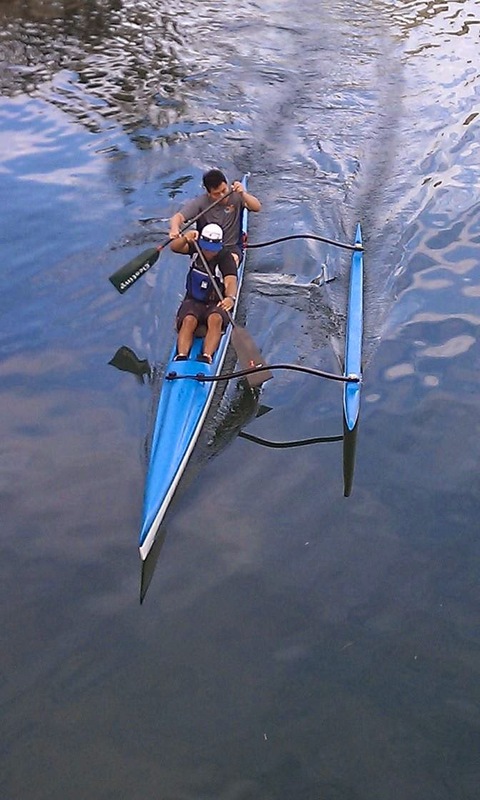 Similarly, in an OC-2 each paddler pulls the boat weight plus a coach who is steering. 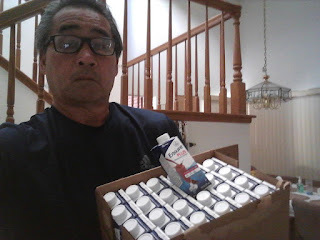 Water testing isn't everything - it doesn't show how well your technique blends with the rest of the paddlers, and it doesn't show how good your timing is, both of which are essential to being a good dragon boat paddler. What it does show is your fitness level, strength and how effectively you connect with the water to propel a boat forward. How do we use this data? Refer to the FAQ. If you cannot make it to either the primary or make-up test dates with an excuse cleared with the coaches, your previous test time from the same season can be used. People tend to get faster as the season goes on, so it's in your best interest to test before every tournament. OC-2 testing is required to be considered for Red and strongly encouraged for Open. 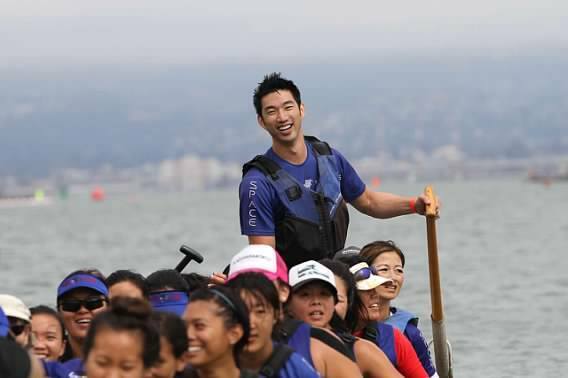 Dragon boat races are athletic competitions, so physical fitness and strength play an important role in how quickly we cross the finish line. We're incorporating the paddle erg this year to not only test that physical fitness and strength, but also to help the coaches have a consistent metric to help compare time trials over the year. Since our current location has varying conditions, the paddle erg scores will help give us those data points. 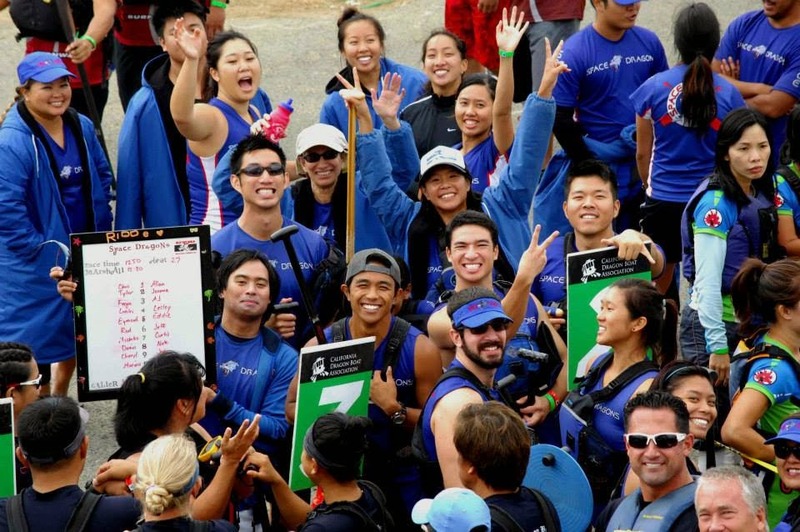 There are many unquantifiable qualities that make a good dragon boat paddler, things like timing, experience, technique, focus and a team-oriented, positive attitude. These are some of the things that the coaches watch out for when we stand at the bow during practice. A boat of the twenty "strongest" paddlers is not our fastest crew if they can't work together and motivate each other. If any one of these traits is missing, that can be a deal breaker! So be sure to pay attention to these unquantifiable details when working toward being a better paddler. As always, if you have any questions about the selection criteria, any of the decisions that are made, or what you personally can do to make yourself a better paddler, don't hesitate to ask! We want each and every one of you to finish off this season with NO REGRETS! With the new season here, it's the perfect time to think about why we paddle. Whether it's for fitness reasons, social reasons, or simply because we love the sport, everyone has their own reason for being out on the water. Whatever it may be, it's a good opportunity to attach a goal to your "why". The coaches have goals set for the team for each year, but it's also beneficial to have personal goals as well. Space Dragons has always been a diverse team, and with that, there will always be different individual goals with our paddlers. Whether that goal is a faster time trial, cleaner technique, or even simply feeling healthier and more active at the end of the day, remember that the coaches and team are always here to support that goal. It's always easier to have your friends and family backing you up 100% when it comes to approaching these challenges, so feel free to write out your goals or share them with teammates! Time TrialsTime trials have always been a great resource to test yourself throughout the course of the season. It's a great opportunity to see how you can move a boat on your own, as well as get some individual coaching and video feedback! Here's the list of dates for this year's time trials! Remember that make up days aren't guaranteed so do your best to make it out to the primary dates! Whether you're new or a vet, you may or may not have noticed that some paddlers have taken on an additional responsibility to paddling. We wouldn't be able to run any practices without them. Who could I be talking about? Your steerspeople of course! 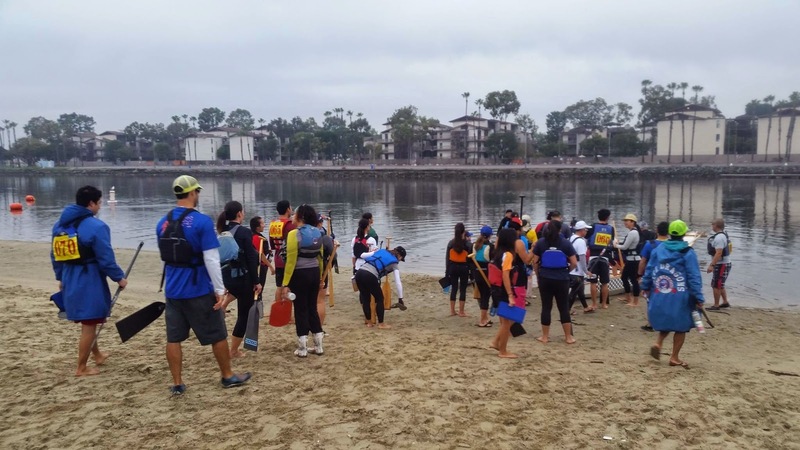 These are paddlers that have taken it upon themselves to learn how to steer, go through the certification process, and even give up paddling time to help the team run practices. Without them, we wouldn't be able to get anywhere! Now you may be thinking that you're focusing on paddling, so you don't want to steer, but it's a good skill to have as a paddler! Not only are you helping out the team, you're learning more about the sport in general and are able to see practices from a new perspective. You're also getting a chance to help bring up our team since we'll be able to cycle through our steers and give them some much needed paddle time as well. As a family, we all want what's best for each other, and opening up more opportunities for everyone to paddle is a great way to achieve that! Over the past couple of seasons, we've seen certain people steering every single practice, and it's a big sacrifice for them to come out to paddle and be forced to steer since no one else is certified. We have a fairly large team, and it's important that we don't let the same people give up their paddle time over and over again. That being said, we're trying our best to make sure that one person doesn't steer the entire practice (unless it's due to an injury and they offer). 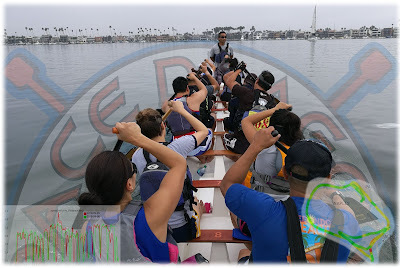 So whether you're new to the sport, or have been paddling for years, let's try to spread the responsibility of steering so it doesn't fall onto the same 2-3 sets of shoulders, and bring everyone up together as a family!